I met Jose Gallo at The Engineer Guy. I was with my Senior Design team and was wearing a GT shirt. So he approached us and asked if any of us have experience with microcontrollers and electronics, which I do. He showed us a guitar he was working on which had LEDs within the body and asked if I could help him to make it react to the sound being played. I agreed to help him and got to work. 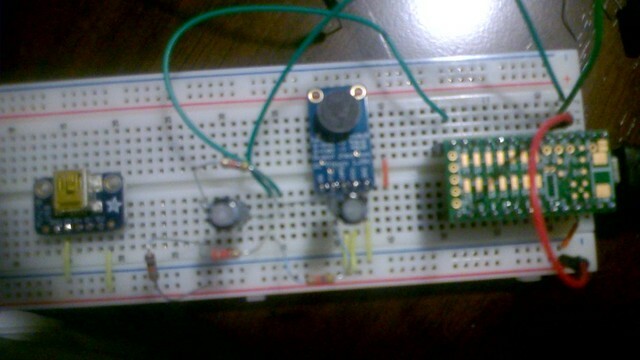 I ended up using a Teensy microcontroller because of its very solid audio library. I set it up to perform an FFT and create a number of visualizations, selectable by a push button. In the end I was very pleased with the results and learned a good bit in the process. Jose was also pretty excited.